Washware Essentials supplies a comprehensive range of stainless steel wc pan toilets from stock and can also manufacture them to order to meet specific requirements. Stainless steel toilets are designed for installation in areas with high usage and where there is an increased risk of vandalism. The range includes stainless steel back to wall wc bowls and close coupled wc suites with either a built in stainless steel toilet seat, black plastic seat and covers or fitted plastic seat pads. 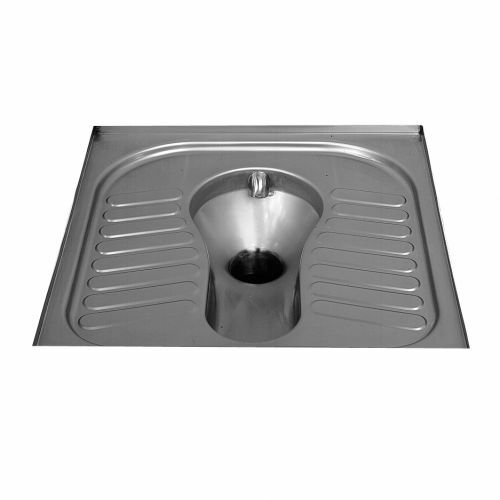 We also supply stainless steel pedestal toilets with low or high level cisterns, stainless steel disabled back to wall toilets or a low level disabled toilet suite. 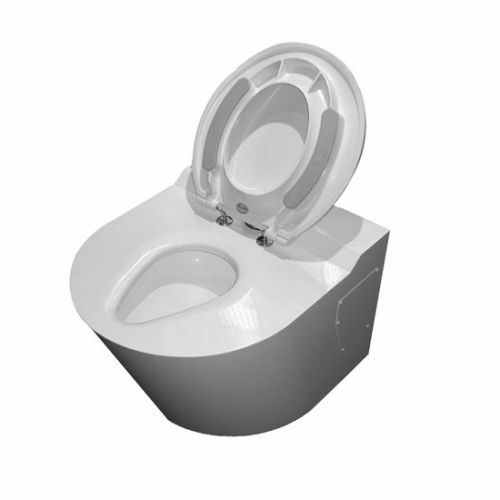 We also stock bariatric toilets with a white coated finish for heavy weight usage, and stainless steel squat toilets. You can download our stainless steel toilets brochure here. Stainless steel toilets offer a harder wearing and more vandal resistant alternative to porcelain toilets. 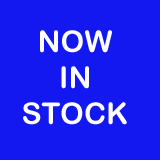 Popular models of toilets are available from stock with quick delivery times. Stainless steel wc pans can also be made to order to suit individual site requirements offering a more versatile choice over mass produced products. Traditionally specified for prisons, police stations and council public conveniences the commercial toilet pans are now widely used in many modern wash rooms including, pubs, nightclubs, restaurants, and factories due to the increased strength offered by the stainless steel construction. 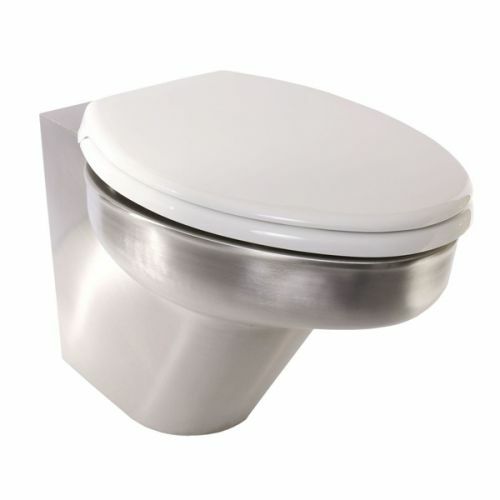 Back to wall stainless steel toilets offer maximum vandal resistance and are designed to fit against a duct wall or false panel which will conceal the flushing cistern. This style offers a minimalistic installation which is easy to clean and maintain whilst keeping the cistern concealed and free from the risk of tampering or vandalism. Concealed plastic cisterns can be supplied with the toilets with either a through wall flushing lever or push button mechanism. Outlets are through the wal horizontal P traps. Pedestal toilets are manufactured to suit areas where there are no false panels or ducts to conceal the flushing cistern. 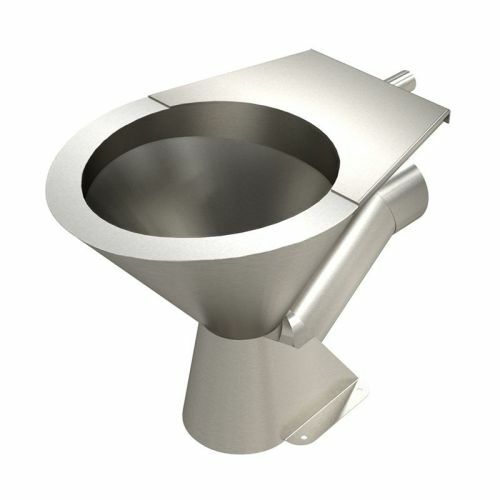 The pedestal pans can be supplied with either an exposed plastic or stainless steel flushing cistern. Outlets are available as a horizontal P trap or vertical S trap. Close Coupled WC Suites Close coupled toilets offer a more vandal resistant alternative to the pedestal toilets. The toilet suites are suited for areas without ducts or false panels. 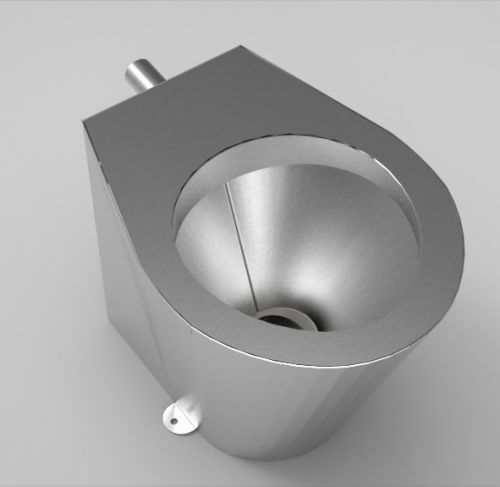 The stainless steel cistern is mounted on the back of the toilet making the unit very robust and concealing the flush pipe within the toilet body. Outlets are horizontal P traps but can be converted to a vertical S trap with a proprietary plastic connector. Bariatric toilets are extremely heavy duty stainless steel wc pans designed with a wider footprint for stability and thicker material to take weights up to 1000kgs. Manufactured specifically for use in hospitals, care homes, and by occupational therapists who cater for bariatric patients and larger users. The bariatric toilet has a white powder coated finish to give it an elegant appearance and enable it to be installed unobtrusively anywhere from a private home to a specialist bariatric hospital ward. The wc pan can be supplied with either a plastic concealed or exposed flushing cistern to enable fitment in all locations. Outlets are horizontal and can be converted to a vertical S trap with a proprietary plastic connector within the toilet body. Squat toilets are installed flush with the floor level and are used for squatting over rather than sitting on. 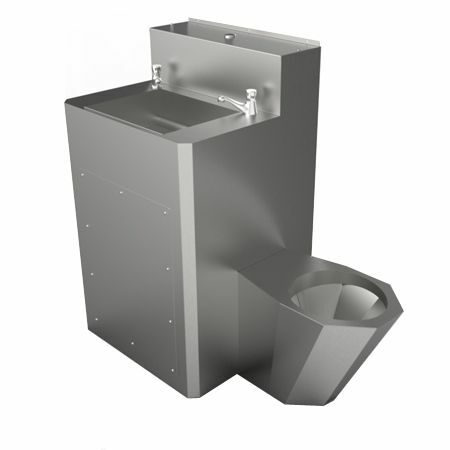 The squatting pan is recessed into the floor with a waste trap connection in the floor structure and used with a back entry concealed flushing cistern. The stainless steel construction make the squat toilets very hard wearing and vandal resistant as well as easy to install. The squatting toilets are also known as Nile toilets, Indian toilets and Turkish toilets. Some of the toilet bowls incorporate a highly-polished seat shape pressed into the rim of the toilet. This fixed seat shape cannot be removed, tampered with or broken and offers maximum vandal resistance. Plastic seats and covers can be fitted to all of the toilets including the fixed seat models, and black plastic seat pads can be fitted to all models without the fixed seat shape. Cleaning stainless steel toilets is an important factor in keeping the product in as new condition and prolonging the lifespan. Stainless steel products should only be cleaned with warm soapy water and specialist chemicals are not required and could even have a detrimental effect on the material. Bleach based cleaners should be specifically avoided and if poured into the toilet bowl and left will cause black staining, and eventually cause pitting, corrosion and even cause damage to the welds. Full cleaning advice can be found in our Stainless Steel Cleaning and Maintenance Guide.